Jagmeet Singh is garnering most of the attention in the NDP's leadership race and has the most endorsements. But does anything else back up his front-runner status? With the support of more elected New Democrats than any other candidate, Jagmeet Singh appears to be the party establishment's betting favourite to take the leadership. But it is not yet clear whether the NDP's grassroots will follow suit. Prior to his withdrawal last week from the race to replace Tom Mulcair as NDP leader, Peter Julian topped the ranking of endorsements. That title now goes to Singh. Including current and former legislators from both the provincial and federal wings of the NDP, Singh has 17 endorsements — well ahead of Charlie Angus's 11, Guy Caron's five and Niki Ashton's four. While endorsements only go so far in delivering actual votes to a candidate, they can be a barometer of who those within the party hierarchy think is most likely to win. Singh surged ahead on Tuesday when he announced the endorsement of a clutch of B.C. MLAs, many of whom are expected to be tapped for cabinet when provincial NDP Leader John Horgan is sworn in as premier next week. As memberships between the provincial and federal wings of the NDP are shared, endorsements from those provincial wings can carry as much weight as the backing of a federal bigwig. Singh's announcement came just days after Julian's departure from the race. Up until March 31, the last date for which fundraising data is available, Julian was the most successful fundraiser in his home province of British Columbia by a significant margin. The endorsements suggest Singh is well-placed to pick up much of that support. B.C. is likely to carry a lot of weight in the federal NDP leadership race, as the province is over-represented in the party's membership rolls. So far, two-thirds of Singh's endorsements have come from B.C. — a good problem to have in a vote that gives every ballot cast equal weight. This is in contrast to the recent Conservative leadership vote, in which each of Canada's 338 ridings were weighted equally regardless of the number of members it had. But while Singh could scoop up Julian's support in British Columbia, he may not have as much success in the other province where Julian had shown some strength. Nearly all of Julian's endorsements at the time of his withdrawal were from Quebec, where he had spent many years as a party organizer. Julian had also come in second in fundraising in the province, behind native-son Caron. Singh has only one endorsement from Quebec, from former MP Mylène Freeman. 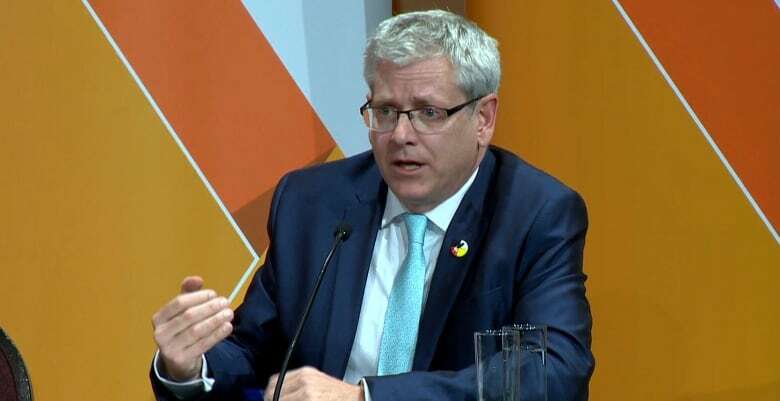 There have also been media reports of concerns among Quebec New Democrats about the Ontario MPP's potential appeal in the province. A practising Sikh, Singh wears a turban. 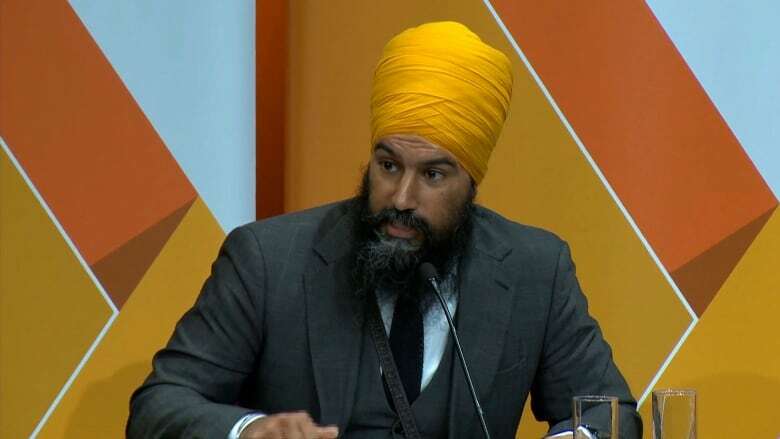 A recent Angus Reid Institute poll found that just 36 per cent of Quebecers would consider voting for a party led by a man wearing a religious head-covering — 20 points less than across Canada as a whole. But if this is a real problem for Singh, it may prove to be an insignificant one. Quebec is not expected to play a big role in choosing the next NDP leader, as its share of the total membership may end up being in the single-digits. By comparison, a solid majority of voting members will likely hail from B.C. and Ontario, the sources of 15 of Singh's 17 endorsements. The clearest signal of Singh's appeal — in Quebec and elsewhere — will come on July 31, when Elections Canada releases the next tranche of fundraising data. There are other signals that indicate Singh's appeal could be limited. A recent Mainstreet/iPolitics poll suggests that Singh is struggling among existing members of the NDP, while Angus and Ashton are well ahead. The poll, which surveyed 1,445 party members (contacted from a list of NDP donors and five provincial party rolls), suggested that Angus led with 23 per cent support, followed by Ashton at 20 per cent. Singh had just 7.5 per cent support, putting him narrowly ahead of Caron's six per cent. A huge portion of those polled — some 36 per cent — were undecided, while Julian, who was still in the running when the poll was conducted, had 7.5 per cent of the vote. Excluding the undecideds, both Angus and Ashton had more than 30 per cent support, putting them 20 points or more ahead of Singh. But the poll surveyed only members with a past history with the party — a factor that Mainstreet recognized could mask Singh's support if he signs up new members who have no prior relationship with the NDP. The poll suggests this might be his only path to victory, as he has not resonated among existing members. The combination of endorsements, polling data and fundraising suggests that Angus is a serious contender. He paced the field in fundraising, leading up to March 31, before Singh had joined the race, and clearly has a solid base among the existing membership. The Mainstreet poll also suggests Ashton could do significantly better than the six per cent of the vote she managed in her 2012 leadership bid — particularly if she combines existing membership support with new sign-ups of young Canadians, a demographic the 34-year-old has targeted. But Singh needs to show strong fundraising numbers in order to back up his front-runner status, which, to date, has been based on the perception of his ability to win. That is not a bad place to be in a leadership race. But eventually perception needs to be turned into reality.